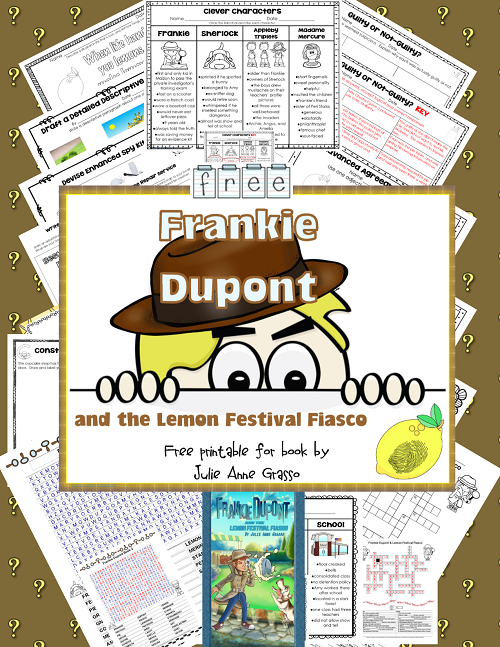 Frankie Dupont and the Lemon Festival Fiasco Freebie is another in the Frankie Dupont Series. 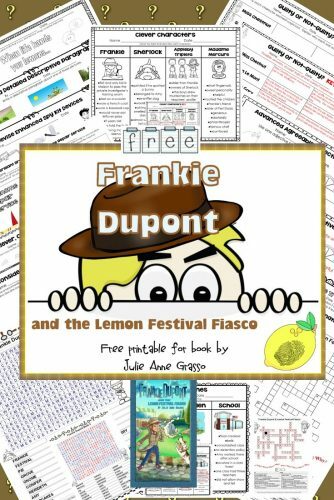 This post has a free book companion (novel unit) for book 2 in the Frankie Dupont mystery series for ages 8-12, Frankie Dupont and the Lemon Festival Fiasco. This series is being written by Julie Anne Grasso. Previously, four other free book companions for her other books have been published on this blog. Because I enjoy Julie’s writing, I bought the latest as soon as it was available at the end of March (2015). 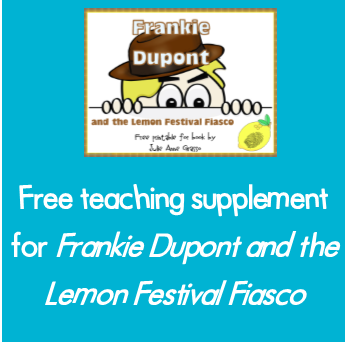 In Frankie Dupont and the Lemon Festival Fiasco there are several characters we already know and love, and a few new sinister characters, as well. Madame Mercure returns as her selfish, nasty self and has big plans involving others to help her gain control of Enderby Manor. Through many plot twists and turns as well as red herring type clues, the plot thickens until the exciting ending. It is a near miss for the ownership of the Manor and the health and safety of citizens attending the big Lemon Festival. Whew! 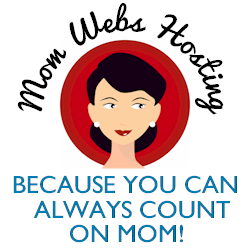 I used to teach pull-out gifted education classes K-6. This book would be a perfect fit for such class sessions, as it would support great discussions. The solution isn’t obvious, so higher level thinking skills would be necessary for reading comprehension. Of course, avid readers ages 7-12 would enjoy the book, also, especially those who love a good mystery. Please enjoy the book and my free book companion activities to accompany the reading! I didn’t realize this before as I knew about Little Free Libraries locally. Our town of Grand Marais, MN, has four now. 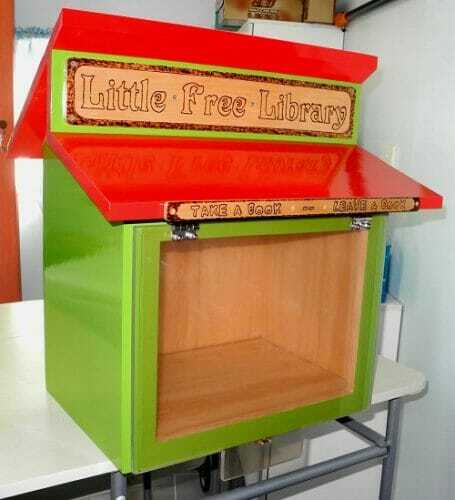 I love these little libraries. Anyway, Julie Anne Grasso has one in her yard. Her father built it and it is all the way down under at her home in Australia. I’m so impressed with how popular these libraries are becoming. Of course an author would want one, loving books as Julie does. Isn’t it inviting? 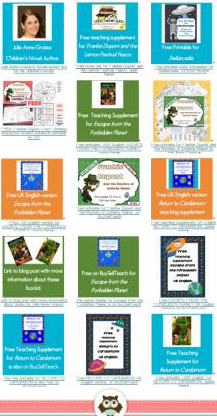 You can find all of my free printables for books by Julie Anne Grasso in one place, on this Wise Owl Factory page.